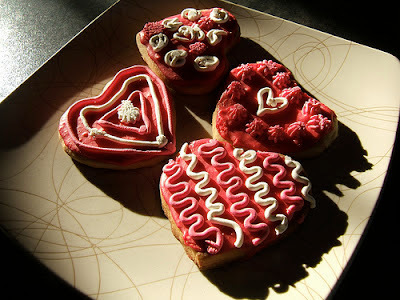 Looking for some treats to make for Valentine’s Day? Erin Chase from $5 Dinners shares a post for Frozen Hot Chocolate. If you have small children you would like to treat on Valentine’s Day, All You has some frugal suggestions such as making heart shaped crayons or a puzzle heart. Are crafts something you and your kids love? Try these Toilet Paper Roll Heart Stamps compliments of Prudent Baby for some afternoon fun. If you are like many Americans, you spend money when you are bored. Solve the problem by curing your boredom with these tips from WiseBread. Real Ways to Earn Money Online’s post, What Happened to Merchant Circle, has some important wisdom for 1099 moms. While the majority of your income may come from one company, you can be in deep financial trouble if that income stream dries up. Instead, try to have multiple streams of revenue or take the leap to starting your own business. The Mom Writes shares how to look good when you are short on time. All of us have probably had days when we have exactly five minutes to get ready, but we still have to look good. Looking for inspiration and motivation from other mom entrepreneurs? Browse through Start Up Nation’s Leading Moms in Business 2012. I don’t know about you, but in recent months, I have been struggling to stick to my grocery budget and still feed my family wholesome foods. Keeper of the Home offers inspiration by showing it is possible to feed your family wholesome foods on $250 or less a month. After you read that post by Keeper of the Home, take a look at her follow up post, How I Would Improve My $250 a Month Grocery Budget Even More. Here she answers readers’ questions and offers suggestions for dealing with unique situations such as food allergies. No one likes to feel that what they are writing is not being read by anyone. Yet, new bloggers often feel this way. Blogelina offers strategies to overcome the common challenges bloggers face. *Photo by WordRidden via Flickr.